Which big-name players should you bench this week? Who should be the first names in your lineup? Wow, what a start. We had shocks, blowouts, big plays and injuries this weekend – all of which have immediately shaken up the fantasy landscape. Let’s look ahead to Week 2’s set of matchups and pick out some players to start and some to avoid. It was not a pleasant sight, and it left Wilson with only 158 yards through the air and no scores. The offense was the fifth-worst in the league in Week 1. But, it’s not going to be like this all year. Firstly, we know what Wilson is capable of. This is a man who has 127 passing touchdowns compared to 45 interceptions so far in his career, and also has the second-highest career NFL passer rating of all time (behind only his opponent in Week 1, Aaron Rodgers). He’s supremely talented, and has what it takes to deal with a bad offensive line – he’s done it his whole career. 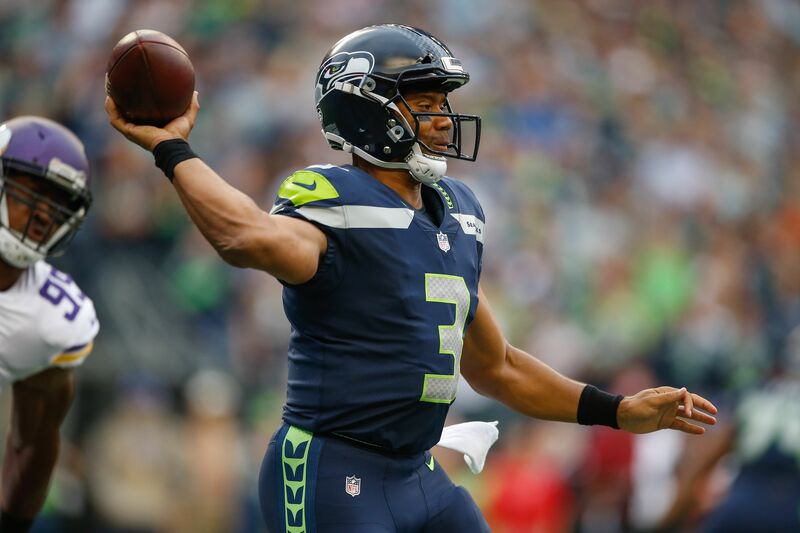 The Seahawks head back home on Sunday to face the San Francisco 49ers, and we can expect them to grab a big win. Despite all the excitement about Kyle Shanahan’s new offense in San Fran, the new regime kicked off with a disheartening 23-3 loss to Carolina and reminded us why they have been a team with only seven wins in the last two seasons. Talent-wise, they are a big step behind teams like Carolina and Seattle – expect the Seahawks and Wilson to put up the points.